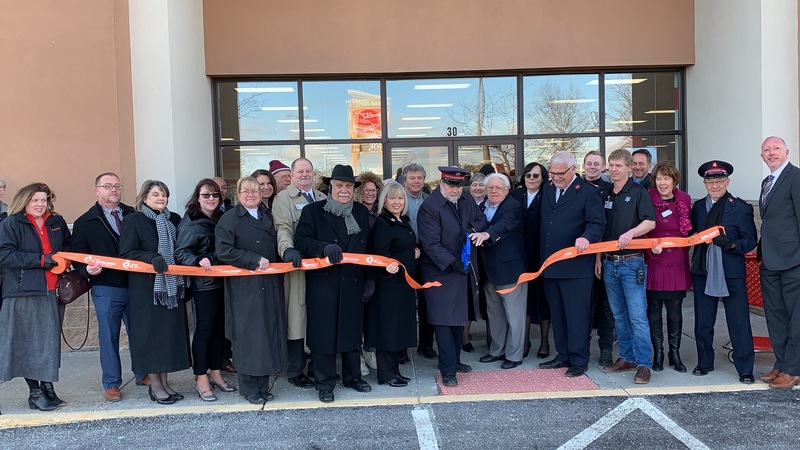 Major Todd Thielke celebrated the grand opening of the new Salvation Army Family Store, with a ribbon cutting on Friday, February 8, 2019. Joining Major Thielke was City of St. Peters Mayor Len Pagano, members of the Salvation Army Board of Directors, Family Store staff, board members and ambassadors with the Greater St. Charles County Chamber of Commerce. The Salvation Army Family Store is located at 30 Harvester Square in St. Peters and provides new and gently used items for personal and home use. All proceeds from the store go back to fund and fulfill the programs that The Salvation Army grants its clients. For more information on The Salvation Army Family Store, their hours of operation and merchandise questions please call 314-535-0057 or visit their website at SATruck.org. If your business is celebrating a grand opening or new office space and would like to celebrate with a ribbon cutting, contact Wendy Rackovan at the Greater St. Charles County Chamber of Commerce at 636-946-0633.